In March of 2011, a gentlemen by the name of Craig Lewis, a 55-year-old suffering from a life threatening heart problem was admitted to the Texas Heart Institute with a condition called “amyloidosis.” It’s a rare autoimmune disease that fills internal organs with a viscous protein that causes rapid heart, kidney and liver failure. Without immediate intervention Lewis would have likely died within days. Fortunately, Dr. Billy Cohn and Dr. Bud Frazier from the Institute came up with what they call a “continuous flow” device which would allow blood to circulate throughout his body without a pulse. They removed Mr Lewis’ heart and then installed the device -the patient was up, well and speaking with physicians the very same day. Dr. Cohn is a veteran surgeon, as well as an inventor and researcher who has spent a large portion of his life developing technologies to replace or repair the human heart. The most notable device being what is called the Left Ventricular Assist Device, also known as LVADs. Cohn teamed up with Dr. Bud Frazier to develop a new invention that uses the technology from LVADs to replicate the functions of the heart’s right and left ventricles. They (unfortunately) tested their device on 70 calves, all of whom produced a flat line on an EKG, no heart rate or pulse, yet they were perfectly normal, ate normally and interacted with each other normally but again, had no heart beat. As mentioned above, Craig Lewis was the first human to receive this technology. The procedure took less than 48 hours and was a great success. His kidneys and liver were not so lucky however, they were failing him and after a few months his family asked the doctors to unplug the device. Below is a video titled “Heart Stop Beating.” It’s the story of these two doctors and the process they had to go through to replace this man’s dying heart with a ‘continuous flow’ device. “Emotional information is actually coded and modulated into these fields. By learning to shift our emotions, we are changing the information coded into the magnetic fields that are radiated by the heart, and that can impact those around us. We are fundamentally and deeply connected with each other and the planet itself.” - Rolin McCratey , Ph.D, Director of Research at the Institute. What does this mean for individuals who have their heart replaced with a piece of mechanical machinery? Does this mean that they are not able to affect others because there is no electromagnetic field that’s being radiated from the heart, or feel the effects of others? Imagine if all of the organs were one day able to be replaced with some sort of advanced technology that was able to mimic their biological function, including the brain. Would we still be the same? This concept brings up several interesting philosophical issues and questions, and that’s why it caught my attention. Feel free to share your thoughts about it in the comment section below. I also found it fairly significant and worth sharing because it is another medical advancement (a good one) that can save many lives. Ever thought that the standard selfie was just too boring…that it just needed a bit more pizzazz? Well the next group of photos is for you! Prepare yourself for the most creative and in many cases confusingly stupid selfies you have ever seen in your life. Are you searching for the cheapest motorcycle insurance companies? Now days searching for best motorcycle company is not an easy task. Each policyholders have values of different motorcycle insurance coverage options. Few policyholders just looks for the basic liability coverage, while others want completely protection against any type of damage in their motorcycles. Its all depends on few factors such where you live, which kind of motorcycle you want to insure, and your driving history plays in policy schemes and their prices. The companies in the list below are a good place to start, as they offer some of the best discounts in the industry and a variety of coverage options. Lamborghini presented to the audience the Aventador LP750-4 Supervolace at the 16th Shanghai Motor Show, and boy does it look hot! This was the first time the car was unveiled in Asia and needless to say it was quite a head turner. Sadly though, the Italian supercar manufacturer also announced that only 600 units of the car will roll out from Sant'Agata. The Raging Bull brand has priced the Aventador LP750-4 Supervolace at Rs 3.07 crore ($4,85,900) before tax and destination charges. For all that money you get a naturally aspirated 6.5-litre V12 that sends 750PS to all four wheels and can do the 0-100kmph dash in just 2.8 seconds. The Aventador LP750-4 Supervolace can record a top speed of 350kmph. Speeds like that would make the Aventador SV among the fastest production cars on the road. Stephan Winkelmann, President and CEO of Automobili Lamborghini said, “This new car represents the perfect combination of Lamborghini's expertise in lightweight engineering and sophisticated technical features. The new Aventador LP 750-4 is the most exclusive, pure and emotional car in our current model range." Sharing the stage with the Aventador SV was the Huracan LP610-4, the successor to the iconic Gallardo. 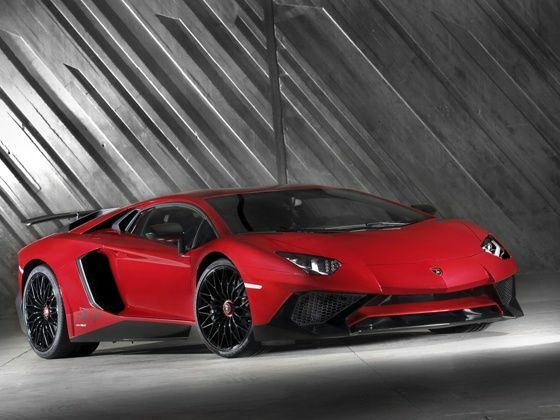 Lamborghini also showcased the Aventador LP 700-4 Pirelli Edition that celebrates the long relationship between the Raging Bull brand and the Italian Tyre manufacturer. Mercedes-Benz is on the offensive and has already launched 5 cars in the first quarter of 2015. In fact, the Stuttgart based luxury car maker has announced a 15 in ’15 strategy, and plans to introduce 15 new models this year. And as a response to this strategy Audi announced yesterday that they will launch five new models in the next five months. In India Audi has a wide range of products from the entry-level A3 sedan to the luxurious A8L. 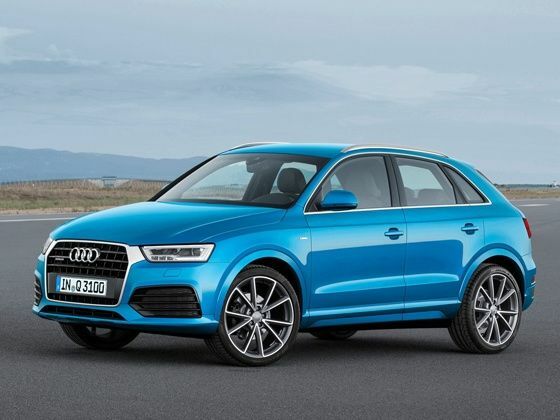 The Ingolstadt based car maker has the 2015 Q3 on the cards along with its larger sibling Q7 and the new A6 sedan. Along with these three models we also expect Audi to bring in two performance focused models – the RS Q3 and one other. Audi posted an overall growth of 15 per cent earlier this year by selling 3,139 units from January-March 2015 as opposed to 2,740 units in the same period a year ago. That said, in the recent past Mercedes-Benz is gradually matching Audi on the sales charts and the battle has gotten more intense than ever. And that is mainly thanks to its new generation models like the CLA-Class, GLA-Class and more recently the C-Class. Last year, Audi sold 10,851 units pan India to retain the title of the largest luxury car maker, but this time round with Mercedes’ 15 in ’15 strategy, they might just have to work a little harder to retain the title. Let the game begin! At the inauguration of Nissan India’s 189th authorized dealership in India in the IT city of Bengaluru, Nissan India announced a aggressive expansion plan in the coming year. The company plans to open a total of 300 sales and service touchpoints across the country by the end of financial year 2016. After setting up shop in 2005, the Japanse carmaker has seen moderate growth in the country. To keep its manufacturing facility well oiled at all times, Nissan has banked on exports to offset weak demand in the domestic market. Since last year though, the company introduced its budget brand Datsun in India and with it hoped to increase sales numbers significantly. The Go however hasn’t set the sales charts on fire. The company informs us that the Go+ is doing well and soon the company will launch standalone showrooms for the Datsun brand. This expansion as a result could include standalone Datsun dealerships. 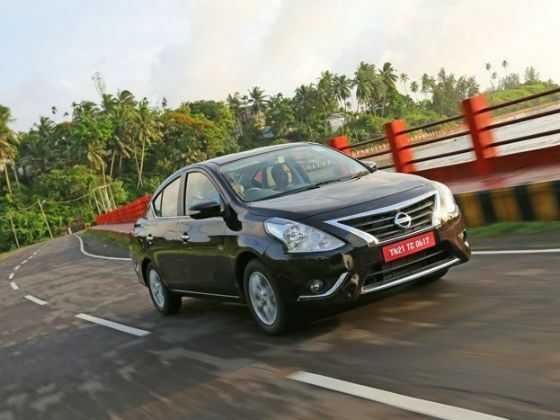 Nissan sold the most cars in its India history in 2014-15 clocking 47,474 cars in FY 2014-2015 registering growth of 24.2% over the previous financial year, making it the highest ever volume achieved by the company in India. 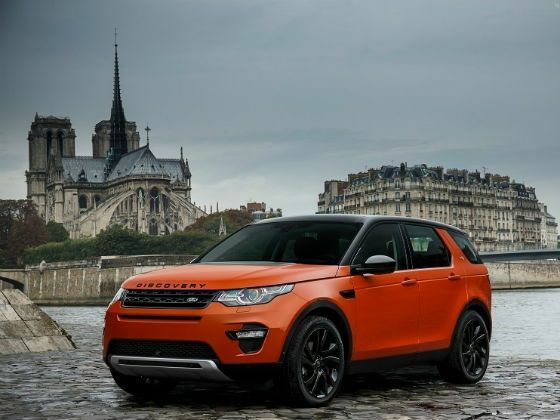 The new Land Rover Discovery Sport is set to get the new Ingenium engine to replace the old 2.2-litre diesel block. This new Ingenium engine as you would know by now is going to be the backbone of most future JLR models as the core powerplant in the Tata owned British carmakers. The Ingenium engine in the Discovery Sport will be available in two states of tune – 150PS and 180PS and can be ordered from September. Around this time, JLR plans to launch this new SUV in India. It will be assembled at the Pune plant and will be priced under the Rs 50 lakh mark. But we don’t expect the new engines to come to India at launch as they will start getting rolled out internationally only then. So expect a few months delay in these new-tech engines at our shores. The Discovery Sport with the Ingenium engine is going to be the most efficient variant in the Discovery Sport range. It will only be available as a five seater while other variants with come with 5+2 seating. Besides, it will also get low rolling resistance tyres to keep efficiency up. Land Rover will offer two gearboxes, the 150PS with a six speed manual gearbox and the 180PS variant will be offered with the choice of the six-speed manual or a nine-speed automatic gearbox. For the new range of engines, Jaguar Land Rover engineers came up with turbocharged all-aluminium blocks with 500cc cylinders to create displacements as the car and the market demands. Jaguar says that this Ingenium range of engines will have deliver class leading levels of torque, horsepower and refinement while reducing emissions and fuel consumption. The all-new XE will also be powered by this new engine. Polaris India is planning a reality show to spot talent in the off-road circuit. ‘Off-roader 2015’ aims to find participants from North, West and South India through the show and bring the best from each zone together for a final face-off. The winner of the finale will drive home a Polaris RZR S 800. First you need to register yourself on www.offroader.in. The company has identified three cities for the first round – Delhi, Pune and Chennai where 24 contestants in each zone will be shortlisted for the challenge. Participants will be judged on their riding skills for obvious reasons, group discussions to gauge oral skills and physical activities to ascertain fitness levels. The top four participants will move on to the next round. Four participants from each city will have a final face off. 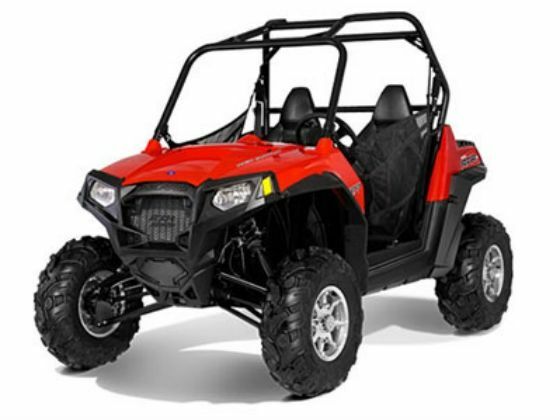 The winner of this finale will be awarded the RZR S 800 ATV. Registrations have already begun so if you have the skill and like to get dirty, get yourself registered. These aren’t road legal vehicles yet so Polaris is having to organize plenty of off-roading events to get people to experience the vehicles. The company has also created dedicated tracks to get to grips with the capabilities of these vehicles. Maruti Suzuki seems to be taking the Duster challenge head-on with the S-Cross. The upcoming crossover has been spied with a badge on the bootlid that says 1.6 for most definitely the 1.6-litre Fiat sourced diesel engine under its hood. 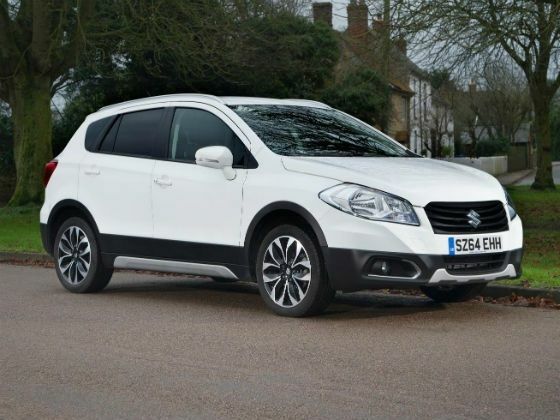 This engine powers the SX4 internationally since a few years but considering the engine isn’t available on any car in India yet, it wasn’t expected in the S-Cross. The badge says otherwise so let’s fill you in on this engine. It is part of the Multijet Fiat diesel engine family, the larger 1598cc capacity popular in more than a handful of cars in Europe. It develops 120PS of max power at 3750 rpm and 320Nm of max torque from 1750rpm. The 1.6 S-Cross comes mated to six-speed manual transmission and this set up will keep the Duster 110PS firmly in its crosshairs. There have been rumours of the new engine being tested by Fiat in India for a while. If the S-Cross does get this engine, expect it to find its way into several other cars in the future – the Ciaz and Linea being top on this list. Maruti will also equip the S-Cross with the 1.4-litre 93PS petrol motor and the 1.3-litre 90PS diesel mill. While these will be the mainstay for the S-Cross, those demanding more performance from the crossover will have the choice of the 1.6. 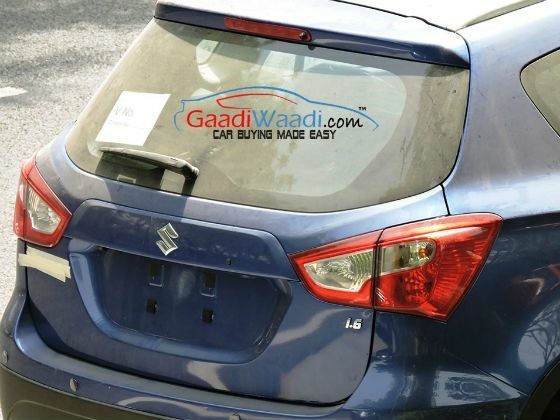 The S-Cross, rumoured to be called the Across in India was expected to be launched by the end of this month but has been delayed. The car is planned for a launch this quarter though so hold on for your next crossover purchase. Mammoth, a luxury coach, developed and conceptualised by MG Group, in a strategic partnership between Alma Motors and Man Trucks India has been displayed at the Busworld 2015 exhibition. The coach was showcased at this venue by Mohan V Kamat, Founder and Chairman - MG Group, Vijay R Kamat, Managing Director – Alma Motors and Anil M Kamat, Executive Director – MG Group. 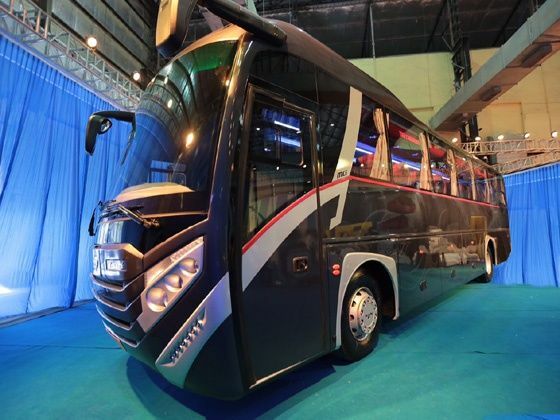 The luxury coach is built on the chassis configured by Man Trucks India, which according to the company, is made of rugged high strength steel. MG Group claims that this in turn helps the luxury coach to cater to the Indian operating conditions with increased driving safety, while significantly reducing body movements for best ride comforts. The company states that this luxury coach is fully bus code compliant. A total of eight emergency exits including EM-Secure (Emergency Management – Secure) makes evacuation from the bus safe, in case of an emergency situation. Other safety measures include no sharp corners, seat belts for every passenger, and the full driver partition which acts as an additional barricade in case of any frontal impact, according to the company.